The intricacy of this Byzantine necklace makes it mesmerizing! 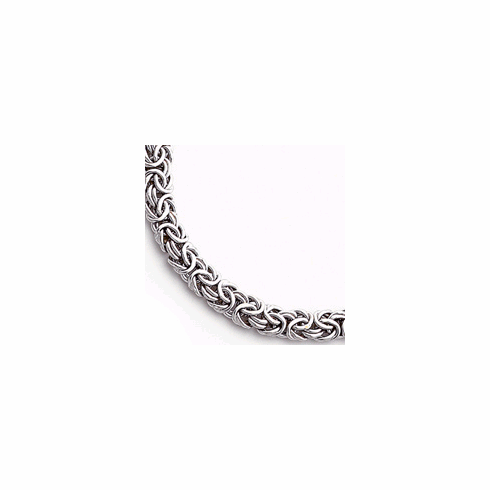 This royal Byzantine necklace is designed in 14K white gold, made in Italy and features a polished finish. It measures 18"L x 5mm W and weighs 15.4 grams.The necklace is secured with a lobster claw clasp. Try pairing this with the matching bracelet for a look that will take your breath away.